We ended our year in fine style last night, singing a joint summer proms with guests Glória, Dublin's Gay & Lesbian Choir. They were a joy to sing with, we loved being part of the audience when they sang their selection, and we loved them as part of our very appreciate audience for our section. This experience of sharing music and song is good for us all, and hopefully we will revisit the experience with Glória DLGC again!! Cavan Singers, Conductor Eileen Tackney, Accompanied by "The Band"
Frances Galligan, Carmel Gaffney, Mairéad Conaty, Mags Amond, Pamela Young, Áine Sullivan, Nora Kennedy, Bríd Brady, Gerry O’Keeffe, Colm Crowe. Electric & Acoustic Guitar - Peter Denton; Bass Guitar - Jim Kelly. Drums & Percussion - Paul Cox & Siobhan Denton. Sound & Light Kevin Callery, Paul Farnon. DVD production Gerard Cogan, Cogan Pictures. Mark O’Hanlon, Pat Gaffney, Colman Smith, Andrew Fannon, Seamus Kennedy, Raymond Boyle. 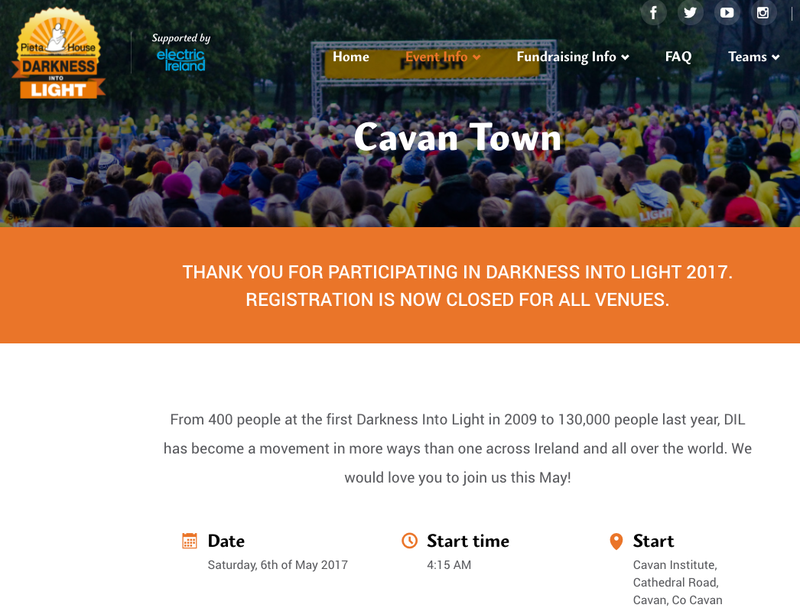 John Conlon; Alan McHugh; Cavan Gifts; Browne’s Pharmacy; Royal School, Cavan; Loreto College, Cavan; Hotel Kilmore management and staff; Our appreciative audience, families and supporters. 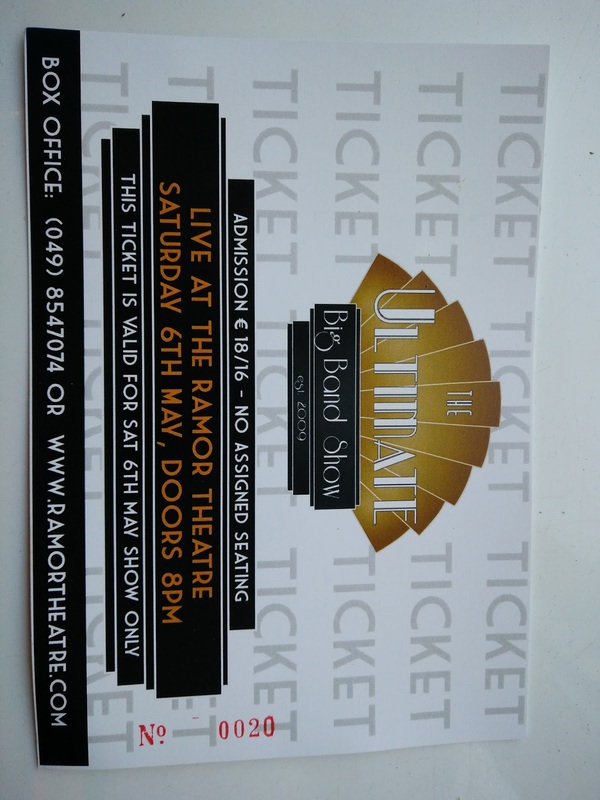 The Ultimate Big Band experience took place at the Ramor Theatre on Friday and Saturday 5th & 6th of May. 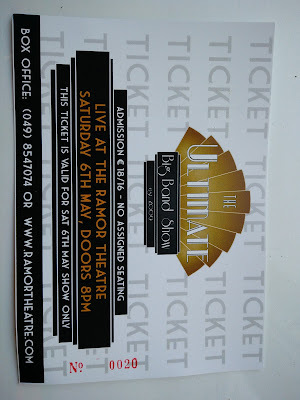 It was a fantastic show, not half long enough if audience reaction is anything to go by. Well done to our own members Aedine Brown (alto) and Tony McMahon (bass), and a special mention this year to Hugh Tunney (bass) making his debut with the 'Rat Pack'. You did us proud Hugh! 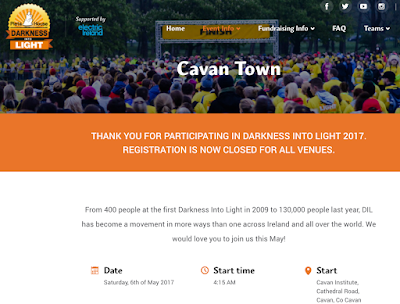 We were delighted to take part in Darkness Into Light this year. We sang as the participants passed thru St Pats, at Hope Candle Hill, than we joined in as they were all gone past. We sang Rhythm of Life and Vida Las Vida, Adiemus and Cantar.